Oh – so much fun! She wouldn’t eat the corn dog until we let her hold it herself! 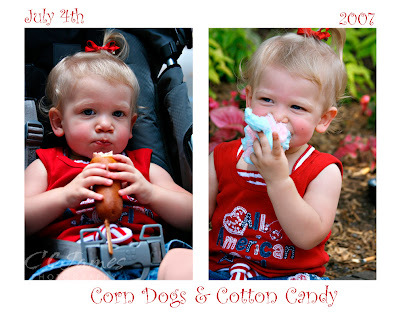 And Cotton Candy – what a discovery that was! It’s the little things in life that are so amazing. Have a great holiday!